Dimitra is an associate professor at the School of Education. She teaches undergraduate and postgraduate modules on the Arts in Education. She has been principal investigator or co-investigator in a number of research projects such as a systematic synthesis of the evidence on the cognitive and non-cognitive outcomes of arts education for school-aged children and a recent piece of research funded by the Nuffield Foundation about improving the primary-secondary transition in music education at the North East of England. 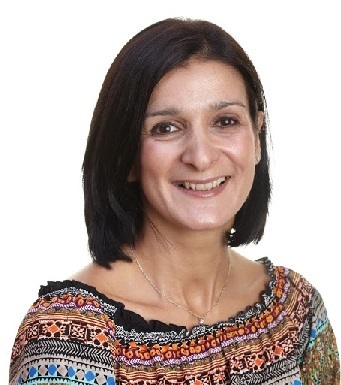 She is one of the authors of the Sutton Trust-EEF Teaching and Learning Toolkit and is currently the lead process evaluation researcher for the Calderdale writing intervention funded by the Education Endowment Foundation. Musical Progression in the English Primary School: what is it, what does it look like and how do teachers realise it? A phenomenographic approach to understanding Taiwanese music teachers’ experiences of creativity in the classroom. Dimitra would welcome applications from prospective doctorate students on teacher education and identity, music education, creativity in education and pupil engagement. 2017: Keynote Speaker: Invited to give two keynote speeches and share the findings of her research at music network meetings with primary and secondary music teachers ran by Durham Music Services (January 2017) and by the Bradford Music Education Hub (February 2017). 2016: Examiner: Examiner for a PhD thesis at the University of Aberystwyth. Thesis title: "The implementation of restorative approaches in education: an exploration of two case-studies". 2014: Examiner: For doctoral thesis at the Institute of Education in London. 2013: Inspiration for Government award: Dr. Kokotsaki received the Inspiration for Government award (awarded by the Institute for Government) for her work on the Sutton Trust - EEF Toolkit. Wang, Lijuan & Kokotsaki, D. (2018). Primary school teachers’ conceptions of creativity in teaching English as a foreign language (EFL) in China. Thinking Skills and Creativity 29: 115-130. Ferrari, D., Kokotsaki, D., Newton, D.P. & Newton, L.D. (2017). How can the understanding of analysis of sonata form movements be deepened by the use of graphic representation?. The Journal of Music and Meaning 14: 1-20. Kokotsaki, D. (2017). Pupil voice and attitudes to music during the transition to secondary school. British Journal of Music Education 34(1): 5-39. Kokotsaki, D. (2017). Pupils' perceptions of attainment in music at the start of secondary school in England: a descriptive analysis. Journal of Education and Training Studies 5(5): 120-130. See, B.H. & Kokotsaki, D. (2016). Context and Implications Document for: Impact of arts education on children's learning and wider outcomes. Review of Education 4(3): 263-265. See, B.H. & Kokotsaki, D. (2016). Impact of arts education on children’s learning and wider outcomes. Review of Education 4(3): 234-262. Kokotsaki, D., Menzies, V. & Wiggins, A. (2016). Project-based learning: a review of the literature. Improving Schools 19(3): 267-277. Kokotsaki, D. (2016). Pupils' attitudes to school and music at the start of secondary school. Educational Studies 42(2): 201-220. Kokotsaki, D. & Newton, D.P. (2015). Recognizing creativity in the music classroom. International Journal of Music Education 33(4): 491-508. Kokotsaki, D., White, C. & Hopkins, B. (2014). Capturing change: a review of the implementation of Restorative Approaches and its outcomes within a local authority in North East England. Online Educational Research Journal 5(5): 151. Kokotsaki, D. (2012). Pre-service student-teachers' conceptions of creativity in the primary music classroom. Research Studies in Music Education 34(2): 129-156. Kokotsaki, D. (2011). Student-Teachers' conceptions of creativity in the Secondary Music Classroom. Thinking Skills and Creativity 6(2): 100-113. Kokotsaki, D. & Hallam, S. (2011). The perceived benefits of participative music making for non-music university students: A comparison with music students. Music Education Research 13(2): 149-172. Kokotsaki, D. (2010). Musical involvement outside School: How important is it for trainee teachers in secondary education?. British Journal of Music Education 27(2): 151-170. Hallam, S., Burnard, P., Robertson, A., Saleh, C., Davies, V., Rogers, L. & Kokotsaki, D. (2009). Trainee primary school teachers' perceptions of their effectiveness in teaching music. Music Education Research 11(2): 221-240. Kokotsaki, D. & Hallam, S. (2007). Higher Education Music Students' Perceptions of the Benefits of Participative Music Making. Music Education Research 9(1): 93-109. Kokotsaki, D. (2007). Understanding the ensemble pianist: A theoretical framework. Psychology of Music 35(4): 641-668. D. Kokotsaki (2005). Attaining a high quality in musical ensemble performance: the pianist's perspective. Piano Professional 7: 29-32. D. Kokotsaki & J.W. Davidson (2003). Investigating Musical Performance Anxiety among Music College Singing Students: a quantitative analysis. Music Education Research 5(1): 45-59. Coimbra, D., Davidson, J.W. & Kokotsaki, D. (2001). Investigating the Assessment of Singers in a Music College Setting: The Students' Perspective. Research Studies in Music Education 16(1): 15-32. Kokotsaki, D. (2016). Engagement and creativity in music education. In Trends in Music Information Seeking, Behaviour, and Retrieval for Creativity. P. Kostagiolas, K. Martzoukou, & C. Lavranos (Eds) IGI Global. Kokotsaki, D. & Katsipataki, M. (2014). Motor Skill Acquisition. In Music in the Social and Behavioral Sciences: An Encyclopedia. Thompson, W.F. Sage Publications. 713-714. Newton, D.P., Donkin, H., Kokotsaki, D. & Newton, L.D. (2012). Creativity in Art and Music. In Creativity for a New Curriculum: 5-11. Newton, L.D. Routledge. 62-79. Kokotsaki, D. (2013). Review of Musical Creativities in Practice. Thinking Skills and Creativity 10: 1-2. Torgerson, C.J., Torgerson, D.J., Ainsworth, H., Hewitt, C.E., Kasim, A., Kokotsaki, D., Bell, K., Elliott, L. & Gascoine, L. (2018). Calderdale Excellence Partnership: IPEELL. Evaluation and Executive Summary. School of Education. Education Endowment Foundation (EEF). Menzies, V., Kasim, A., Kokotsaki, D., Hewitt, C., Akhter, N., Collyer, C., Younger, K., Wiggins, A. & Torgerson, C. (2016). Hallé SHINE on Manchester: Evaluation report and executive summary. Education Endowment Foundation. Menzies, V., Hewitt, C., Kokotsaki, D., Collyer, C. & Wiggins, A. (2016). Project Based Learning: Evaluation report and executive summary. School of Education. London, Education Endowment Foundation. See, B. H. & Kokotsaki, D. (2015). Impact of arts education on the cognitive and non-cognitive outcomes of school-aged children. A review of evidence. School of Education. Durham, Education Endowment Foundation. Kokotsaki, D. (2015). Improving the primary-secondary transition in music education. School of Education. Centre for Evaluation and Monitoring / Durham University. Menzies, V., Collyer, C., Kokotsaki, D., Hewitt, C., Younger, K., Wiggins, A. & Torgerson, C. (2015). SHINE in Secondaries: Evaluation report and Executive summary. Education Endowment Foundation. See, B H & Kokotsaki, D (2015). Systematic review of the impact of arts education on the cognitive and non-cognitive outcomes of school-aged children. Education Endowment Foundation. Higgins, S., Katsipataki, M., Kokotsaki, D., Coleman, R., Major, L.E. & Coe, R. (2013). The Sutton Trust - Education Endowment Foundation Teaching and Learning Toolkit. London, Education Endowment Foundation. Wiggins, A., Barmby, P., Kokotsaki, D., Lyth, A. & Torgerson, C. (2009). City GATES evaluation Phase 1: Existing data analysis. CfBT. Hallam, S., Castle, F., Rogers, L., Crech, A., Rhamie, J. & Kokotsaki, D. (2005). Research and Evaluation of the Behaviour Improvement Programme. Institute of Education. Tymms, P., Albone, S., Barmby, P., Kokotsaki, D., Merrell, C. & Searle, J. (2005). The Performance of Newcastle Schools: Report 5 for the Commission. School of Education. Durham, Curriculum Evaluation and Management Centre.